Several people have asked me whether the above photograph of an exotic-looking big cat is genuine or photoshopped. Having investigated it, I’m pleased to reveal that it is totally genuine. It was snapped by Vano Shlamov on 10 February 2010, and depicts a black (melanistic) jaguar Panthera onca called Boogie at Tbilisi Zoo in Georgia. The distinctive rosetting is due to the angle at which sunlight is hitting Boogie’s pelage. The photograph is part of the AFP/Getty Images collection. While I was investigating it, moreover, I came upon a couple of tantalising accounts of a very formidable cryptozoological cat that I had never previously known about – hence its absence from my latest book, Cats of Magic, Mythology, and Mystery(2012). According to an article in Chad Arment’s BioFortean Review series, it is known variously as the night jaguar, carraguar, or renegrón. 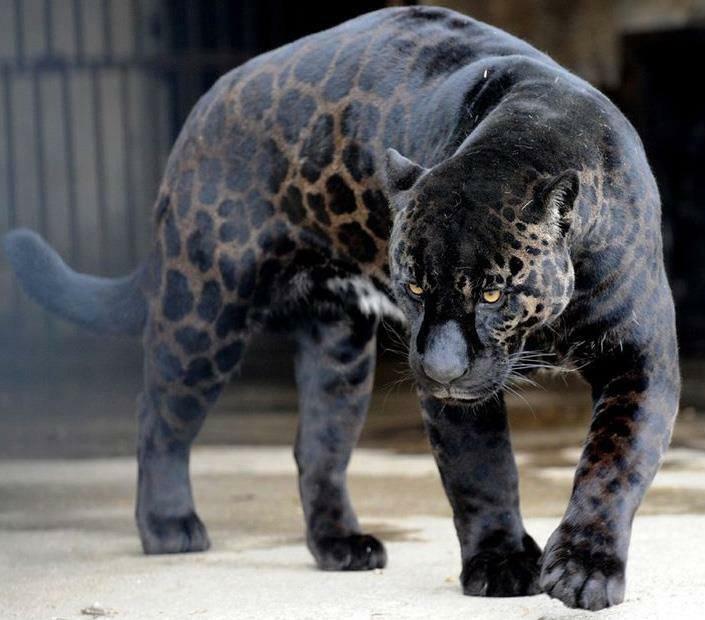 Allegedly native to Colima in Mexico, it is said to resemble a very large all-black jaguar but with coarser fur, and is exceptionally ferocious and fearless. I am only aware of two reports, one extremely brief, the other more extensive, but both of them over a century old. Is this cryptic Mexican cat still being reported today? If so, I’d greatly appreciate receiving any details here.